The centerpiece of the Beijing Olympics, the National Stadium, sits at the other end of the spectrum from my ‘solid’ post! A seemingly light and airy elliptical network of crisscrossing columns and beams, support asymmetric, translucent roof panels that challenge every rule book on architecture! The brief entrusted to architects Jacques Herzog and Pierre de Meuron was to design a stadium that was different from anything they had done before, and that was required to be “porous while also being a collective building, a public vessel“. They eventually arrived at the “Nest” theme while studying Chinese ceramics for inspiration. The statistics are staggering! 110,000 tons of steel (all made in China) including 24 trussed steel columns each measuring 1000 tons, 7,811 square meters of turf field (laid in 24 hours! ), a seating capacity of 91,000, a four-star hotel with 80 rooms under one of its sides, a gourmet restaurant with views of the athletics track, a twin-level underground shopping centre, undersoil geothermal pipes for temperature control, 24 hour rainwater harvesting and recycling! The cost? A whopping US$423,000,000! 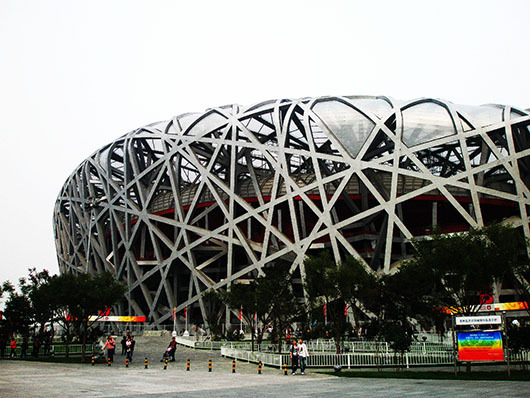 The opening ceremony of the 2008 Olympics held in this memorable stadium was supposed to underscore China’s arrival into the big league. That it did…..and how! PS: I meant to post my images of a bullfight in Madrid and write about how we walked out midway, near tears, but chickened out for fear of offending readers sentiments! 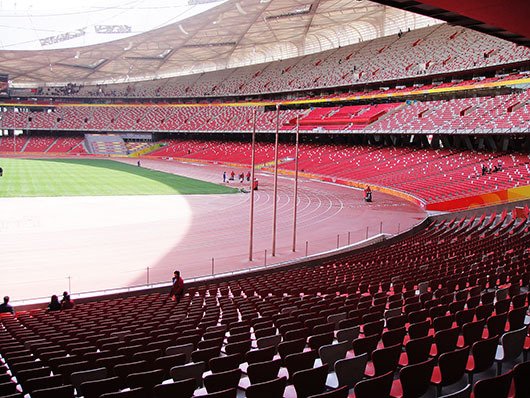 It’s a shame that China doesn’t use their sport venues now after the olympics.. Indeed. As do several other countries. I don’t know about China, but i feel strongly about developing countries, India in particular, with huge populations below the poverty line, bidding for extravagant sporting events. Only the very rich and the politicians gain from it. Not the sport or the country. Great post! It’s hard to capture the greatness of that impressive stadium, but you did it well! I fear I would walk out too, and in tears. I had a hard enough time at a small-pueblo rodeo when the clowns were basically tormenting a young bull. It’s hard to stand by when in another culture, and there’s an insensitivity to another living thing, plant or animal. Thanks, the images are great! I went several years ago for the romance, the atmosphere in a packed arena was indeed electric. But fighting a tortured and weakened bull was not my idea of fair play. We could sense that the magnificent animal just knew it had no chance. I couldn’t stand to see the end. Our cab driver was disappointed that we did not GET the essence of the fight. We really didn’t. Yes, sometimes when I witness or realize how very little our species has evolved spiritually, a feeling of great sadness and shame washes over me. Thankfully we cross paths with some who are more evolved, and we have hope in the future. 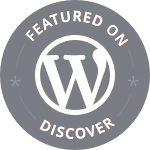 You belong in the latter group, as do most of our WordPress friends. What a beauty! With so much steel material, it’s fascinating how light and airy it looks! And how interesting that it’s a “birds nest” – as that is one the of the most popular Chinese dishes known and often featured at Chinese weddings – a symbol of prosperity? That must have played a part in its christening 🙂 Thanks Zoe. Wow! Very good post and I love the photos. I love your photos and the information you gave us. Great pictures of an amazing place!! Isn’t it? What a brilliant concept! Great photos; these architects are incredible in their creativity. I was enthralled with the 2008 opening ceremonies. Thanks Angeline. Did you watch it in person??? That would have been something. It was spectacular enough watching it on TV. Very informative description for the Bird’s Nest. I did not know they build hotel, restaurant, and shopping center there. The temperature control and the rainwater harvesting and recycling are way to cool! Thank you, Madhu! Not able to confirm if the hotel is still functioning though. Thanks Amy. Thanks Mehmudah. Hope you are feeling better now. for sure now a landmark in the history of architecture! I think so too Frizz. I would have loved to see it at night, when you can see through into the lighted interior. Impressive isn’t it? Thanks Cocomino. 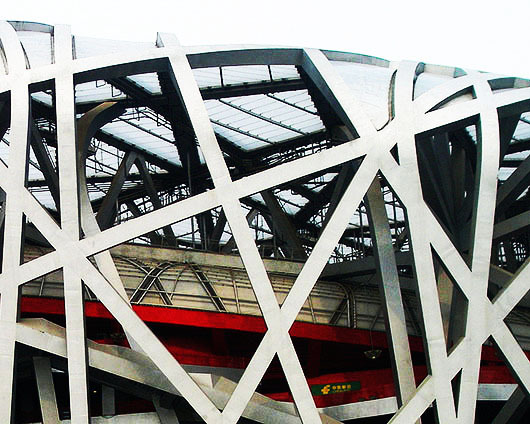 I always love the architecture of stadiums all over the world and hope that one day Indonesia will have an ultra modern stadium like Bird’s Nest – the biggest stadium we have now was built in 1960s for the Asian Games. It certainly must be a source of national pride. But is the expense worth it for developing nations like ours? Not so sure Bama. Exactly! Let alone such projects are prone to be corrupted. It does! It is near impossible to capture the full stadium from the outside – from within the Olympic park – without a wide angle lens. Thanks Suzanne. What an impressive structure, Madhu. We have many stadia which were built at great expense for the Soccer World Cup in 2010. Today they are just ‘white elephants’ that they don’t know what to do with. I’m glad you didn’t post about the bullfight. I couldn’t contemplate going to something like that. Great post, I love this building it is so different, the open structure of the design is amazing. I agree 🙂 Thank you for sharing your thoughts. Dear Madhu, my husband I attended a bullfight in 1988, not realizing that the bulls were first tortured and then killed. Once was enough. People can plead “tradition!” But some traditions are throwbacks to earlier more brutal times–like slavery and arranged marriages. I can’t believe that boxing is still legal, but at least the participants have a choice. I know Naomi, didn’t see no contest there, nor bravery, except on the part of the bull. It was very sad and upsetting. But the last time I went to Spain, the year before last, I did notice many posters protesting the bullfights. There is hope yet. Barcelone officially banned it a few years ago. I guess the others will follow suit eventually. I think Arles hosts bullfights for a couple of weeks in early summer as well! I don’t see why people could get offended. You always write with respect and sensibility so go for it! You may accept or not, but know that I do enjoy your blog. Very informative post Madhu and the pictures look great! I apologize for that, but I will be back on track shortly. Spending lots of time with the grands, lol! A very unique and creative architectural wonder. Beautiful and exciting!